Origin of name  The nearby village was called Wiltown probably for William of Orange (2, p. 627).
?  Ann Morris, William Elliott's daughter, inherited the property from her father (2, p. 628).
?  Ann's son, Lewis Morris, V, became owner (2, p. 629). An alternate date of the home's construction may have been 1820 (1, p. 2). 1863  Lewis died after witnessing his property destroyed by warring factions. 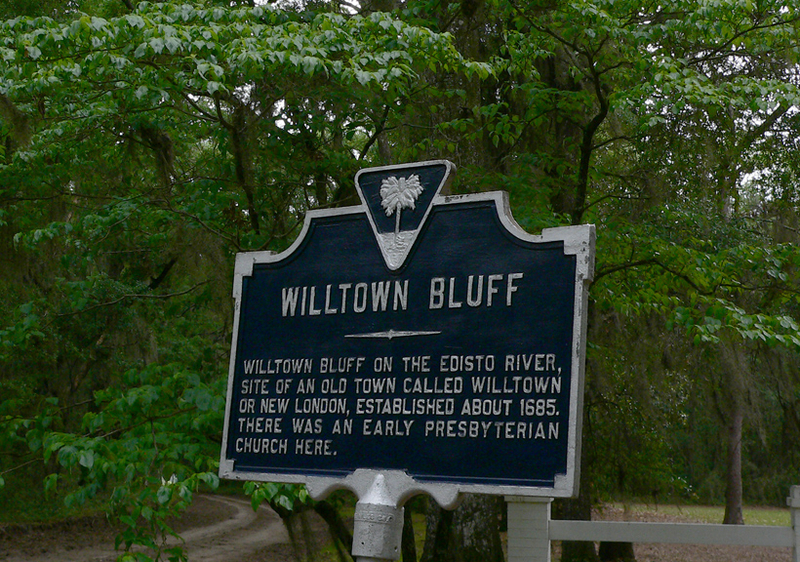 Many houses in the area were burned but the house at Willtown Bluff was spared (2, p. 634). The house may have been used as a Confederate hospital during the Civil War (1, p. 3). 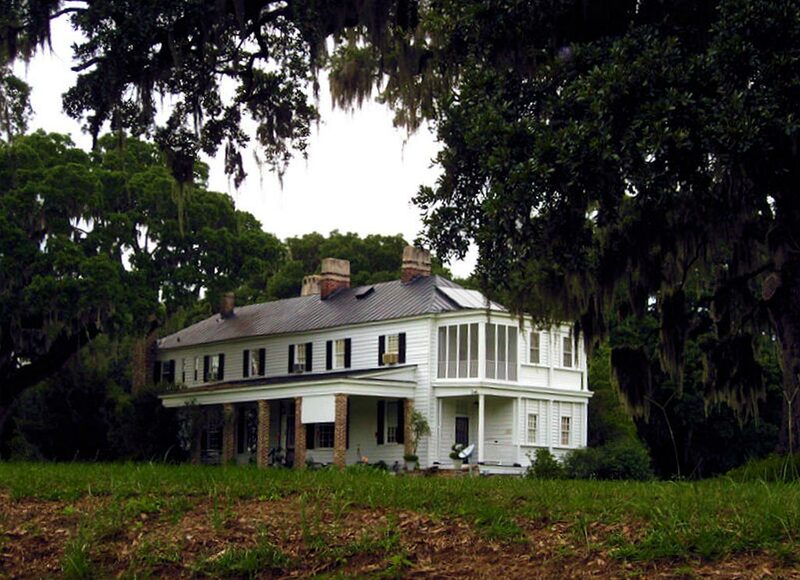 1871  Morris' heirs sold the plantation to Edward Manigault Barnwell (2, p. 634). 1885  John Grimball purchased the property from Edward Manigault Barnwell (2, p. 634). 1893  John Grimball sold Willtown Bluff to Christopher FitzSimons (2, p. 634). 1911  Christopher FitzSimons transferred ownership to Samuel G. FitzSimons (2, p. 634). 1925  Samuel G. FitzSimons sold Willtown Bluff to William E. Harmon (2, p. 635). 1930  Harmon's estate sold the plantation to Arthur Whitney (2, p. 635). 1945  Hugh Lane became the plantation's owner (2, p. 635). His family continues to hold it. Elizabeth Manigault Morris' father was a noted amateur architect. The house at Willtown Bluff is of Federal style with a polygonal room (2, p. 629).